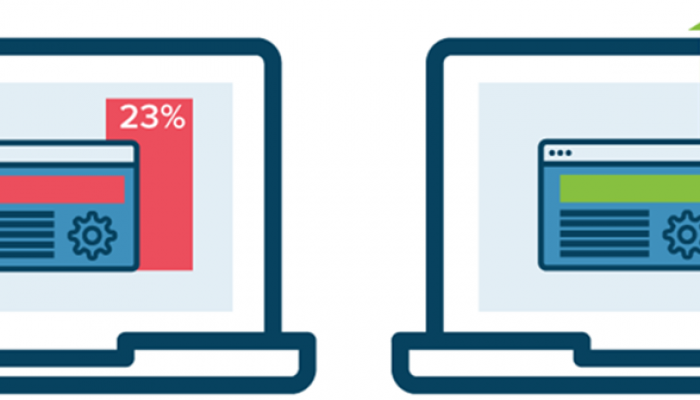 A/B-testing is one of the most powerful tools for optimizing your website. It does not have to be expensive. And keeping away from implementation times and the involvement of IT is of course an advantage, right? With Google Tag Manager you can do just that. A/B testing via Google Tag Manager (GTM) (or via Google Content Experiments for that matter) is free and simple, the method is a good option or a complement to the big test tools. There are of course pros and cons of A/B-testing through GTM, but first let us show you how to do it. Disclaimer: We recommend you not to straight off replace any of the “real” A/B-testing tools. We want to show you options. A/B-testing through GTM is suitable for simple tests such as split URL test. 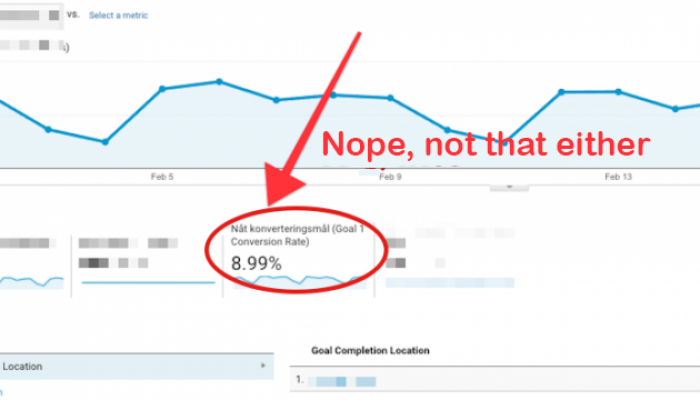 Why not Google Content Experiments? Today it is not possible to use Google Content Experiments together with GTM. And you are limited to just performing split URL test in GCE. 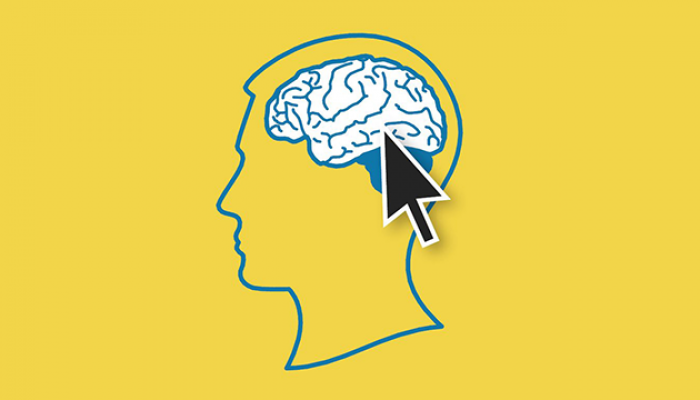 To minimize flicker you want to load GTM as early as possible on the webpage, that is inside the head of the page. The location of the GTM-script below makes a big part of the job – even if it is not supported or endorsed by Google to place in the head element. Why do you want to avoid flicker? Flicker is a phenomenon which means that the visitor has time to see A-version (control) of your test before the B version (variation) is loaded. There is still a risk of flicker with this method, but the location of GTM script minimizes this risk. There are other factors at play, such as how big the site is and how other scripts load. Before you seriously start testing, you need to ensure that effect of flicker is minimal. Load GTM script in head to minimize flicker. The code in detail – what happens? First a cookie is created to consistently show the same variation to visitors if they return. We also define how long the cookie should be valid. BUT, you yourself with some coding knowledge can make just any frontend-changes you wish as with usual A/B-testing tools, for example copy testing etc. There we usually specify test number + location where the test takes place + keywords for the test, for example: TC1 Product page layout. Variation A/B is added to the end of the test name to easily distinguish between control and test variation in GA. The remaining code sets a value where A and B variations each get 50% of the visitors. 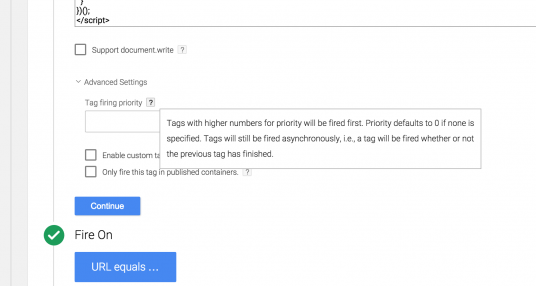 If you already have GTM, you will only need to create two tags (and one variable) in the GTM. 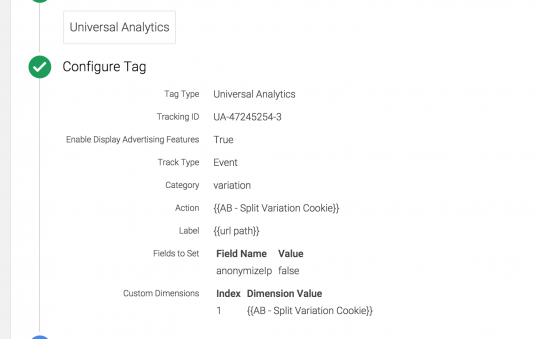 Test data comes into the GA through Events, and you can benefit from creating a Custom Report (or advanced segments) to more easily follow your most important data points for the test. To know when the test is over you should manually calculate statistical significance which you easy can do by clicking here. A/B-testing via GTM can be a great way for those who do not have direct access or who are last in line to the developers. It is also a “proof of concept” – easy to prove the importance of A/B testing, a small entry threshold that is. GTM is a complement to the larger test tools, simple and efficient when it comes to test one URL against another: Split URL test. With coding knowledge you can use GTM as a test tool – free and with unlimited traffic. Remember that GTM-Code should be loaded in the header to reduce flicker.